During the past few months, we’ve been assembling programs from the National Poetry Foundation’s past conferences. The NPF began hosting conferences in 1980 when it held the Sixth International Pound Conference at the University of Maine campus. While not an NPF event, this conference paved the way for three decades of NPF conferences. In the ’80s, NPF conferences mainly focused on centennial celebrations of Modernists such as H. D., Marianne Moore, Ezra Pound, and William Carlos Williams. 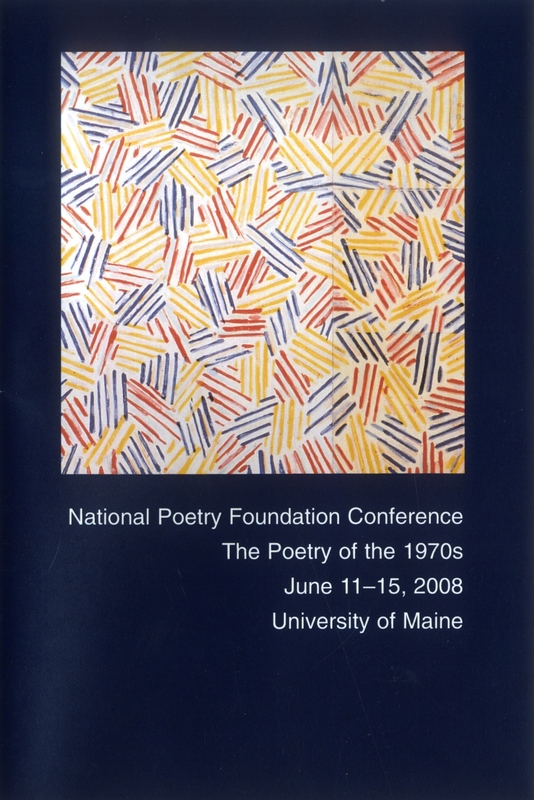 In the ’90s until the present, the NPF has held “Decades” conferences, reflecting its expanded dedication to modern and postmodern poetry and poetics. For a chronological listing of NPF conferences, with complete programs, see our new blog (link here).